I have recently started teaching at an evening class one evening a week. At the start of my cookery classes we have a short quiz where I introduce either a new spice or a new dish to the class. For my first ever cookery class I took a sample of my home made farsi pooris for everyone to try and guess the ingredients in the puri. I wanted to make them realise that by using just a few everyday ingredients one could produce a tasty snack. Everyone loved the farsi pooris and said that they had never eaten anything like them before. 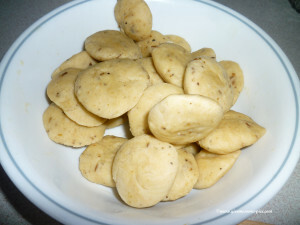 Farsi puris have been a snack in my home for ever so I was surprised that they had never tasted them. Everyone wanted to learn how to make them so we made them last week. You can see everyone’s attempt here. One thing I learned from this class is to make sure that your recipe ingredients and methods are very specific and one should not assume that everyone knows a spice or a cooking method. E.g my ingredients asked for half a teaspoon of cumin and the whole class brought cumin powder!! Thankfully, I had plenty of cumin seeds to share with my class. This made me realise that something that I thought everyone would know was wrong. 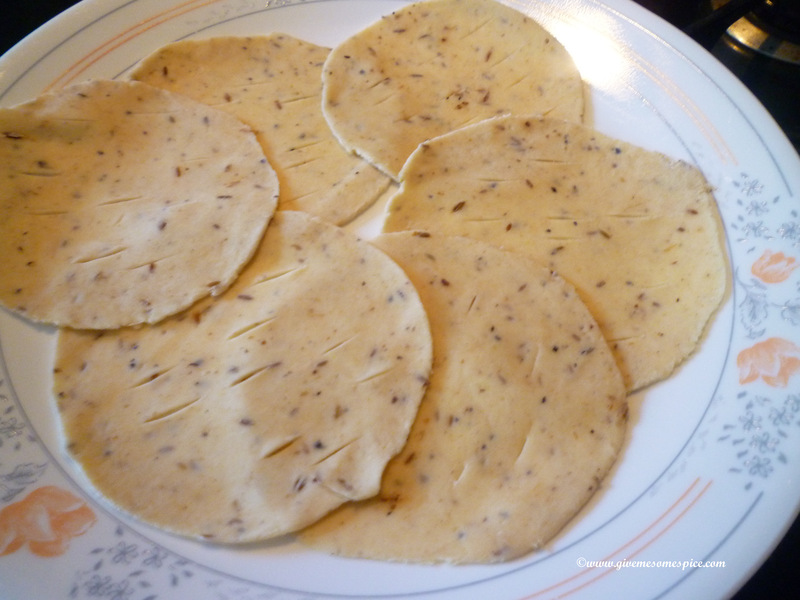 I have now changed my recipe to mention cumin seeds. 2. Warm the butter for a couple of minutes -until it looks runny -almost like oil. 3. Make a dip in the flour and pour in the butter. 4. Sprinkle on the coarse black pepper and salt. 5. Roast the cumin seeds slightly on a griddle. 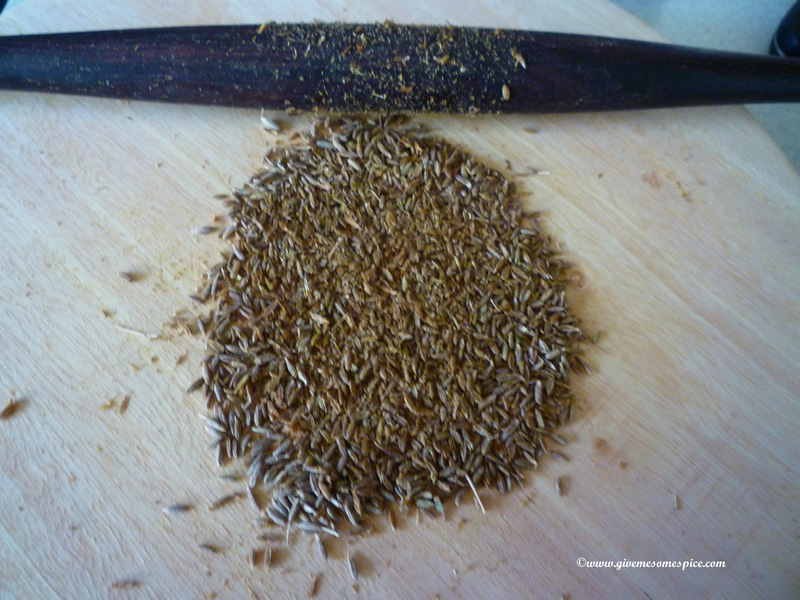 Once you get the lovely cumin aroma, transfer the cumin on to a work top. Using a rolling pin, roll over the cumin. This will release the lovely cumin flavours and your puris will have the lovely flavour when you add this mixture to the dough. 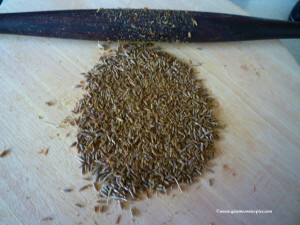 Continue rolling over the cumin seeds until some of the cumin is crushed a bit. 6. Add the ground cumin seeds to the flour. 7. Using warm water bind the dough. Add the water with caution as you may not need the full cup. 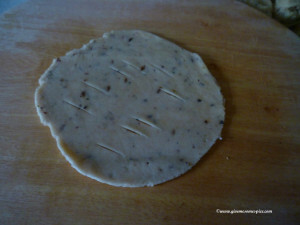 The dough should not be too loose as this will make it very difficult to roll out the puris. 8. Now divide the dough into approximately 25 small balls and make them into flattened balls. 9. 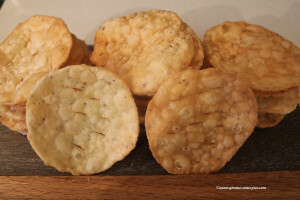 Roll out the Farsi puri (not too thin) and prick them either with a fork or a knife. Save the puris on a plate or tray. 10. 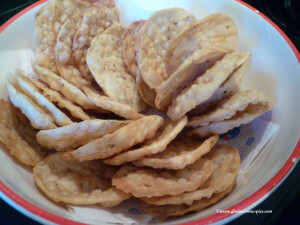 Deep fry the puris in sunflower oil . When you put the puris in oil, wait for them to float up and then keep turning them gently until they are a light golden colour. 11. 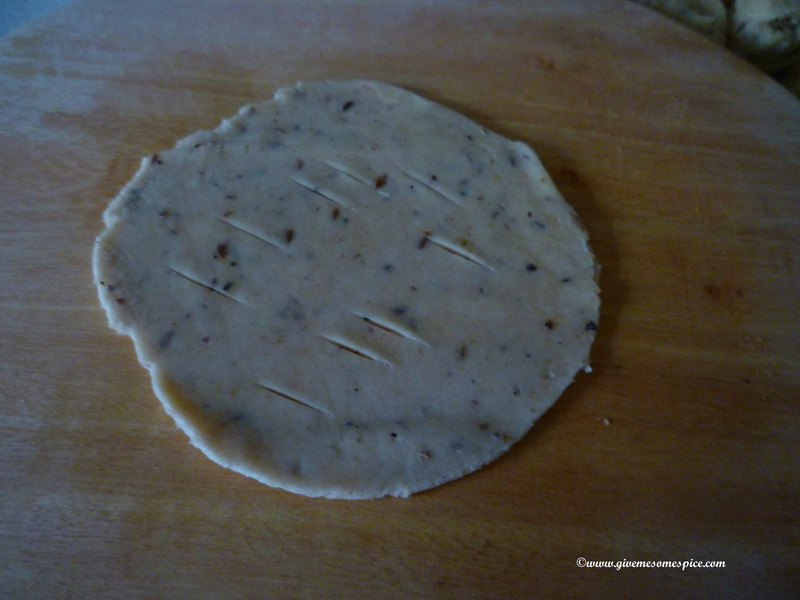 Remove the Farsi puri onto a kitchen paper. Once the Farsi puris cool, they can be stored in a biscuit tin.